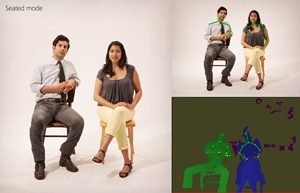 Kinect for Windows SDK 1.5 is Now Available! This just in from the incredible whiz-kids over on the Kinect for Windows team — They’ve just released version 1.5 of the Kinect for Windows runtime and SDK. They’ve added more capabilities to help you brilliant developers make cool things! They’ve also made Kinect for Windows hardware available in Hong Kong, South Korea, Singapore, and Taiwan — with 15 more countries starting next month! To learn all 31 countries Kinect for Windows will be available in check out the Kinect for Windows blog! We’ve got a ton of space geniuses here at Microsoft. Our team isn’t the only one working to make Kinect smarter, faster, and stronger. Microsoft Research has some pretty incredible whiz kids that have recently used Kinect to help innovate a new gesture-based motion “controller” that doesn’t actually need any sort of controller, including the Kinect, to work! Project SoundWave utilizes the existing speakers and microphone built into a PC or notebook to detect your movement. The speakers emit inaudible tones in the 18 – 22 KHz range (your cats and dogs are safe). SoundWave then uses the same system’s microphone to pick up these tones as they are bounced back by your failing hands and arms. The tones are passed through a detection algorithm and any frequency shifts detected are processed to figure out what in the world you’re trying to do!